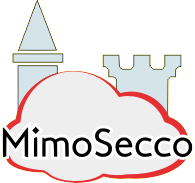 MimoSecco - Data privacy for mobile devices and integration of services into cloud computing. S4Stick - Secure, portable work environment deployable from a USB stick. SecSPS- platform independent software protection for embedded control systems. eIDConnect- Combining technologies such as OpenIDs and the new German electronic ID card (nPA) for managing virtual identities. SumoDacs - Development of an architecture based on hardware tokens which allows mobile devices to securely access company data. S4Cloud - Secure and innovative licensing management system meeting special requirements in cloud computing. VitaBIT - Mobile and secure information service in nursing care logistics. Pro-Protect - preventing product piracy by protecting embedded software in machinery and systems.